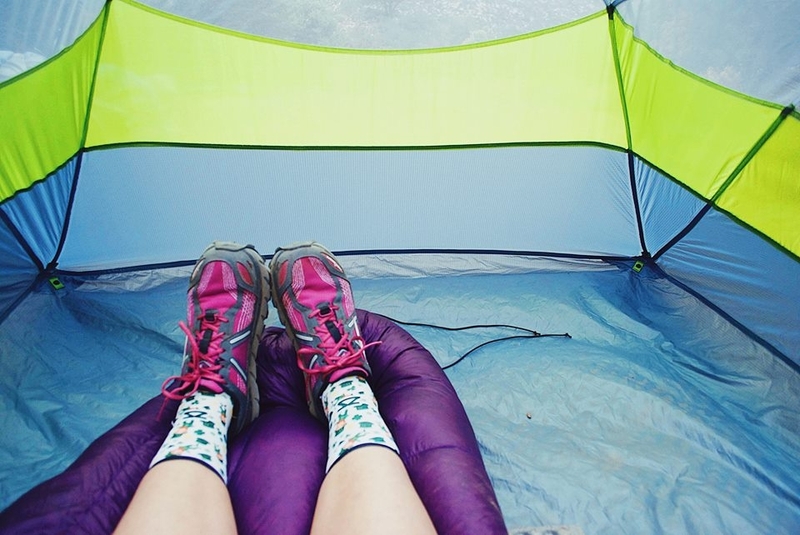 This tent is a goddamn palace. 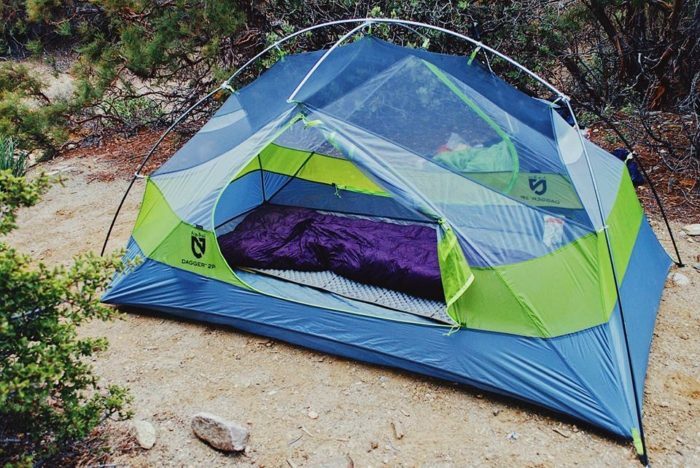 If you’re looking to comfortably fit two people in one tent, with all of your backpacking gear, this is the tent for you. The tent floor is a rectangle, coming in 90×50 inches. The Dagger also offers 42 inches of overhead space and a total of 52 inches of trapezoidal vestibule space, or 26 inches on either side. The tent has two side doors, which make getting in and out of the tent easy. The vestibule space created when the fly is on is 23 inches from the side door to the fly, which is ideal for cooking during a storm, and storing gear at night. 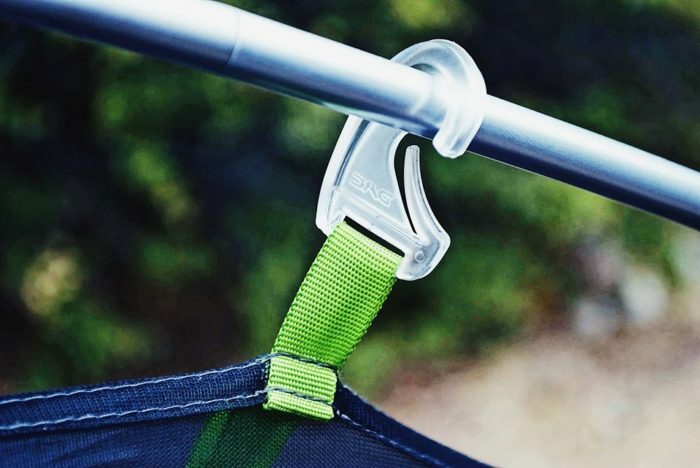 The easy pole design makes set-up a no brainer. 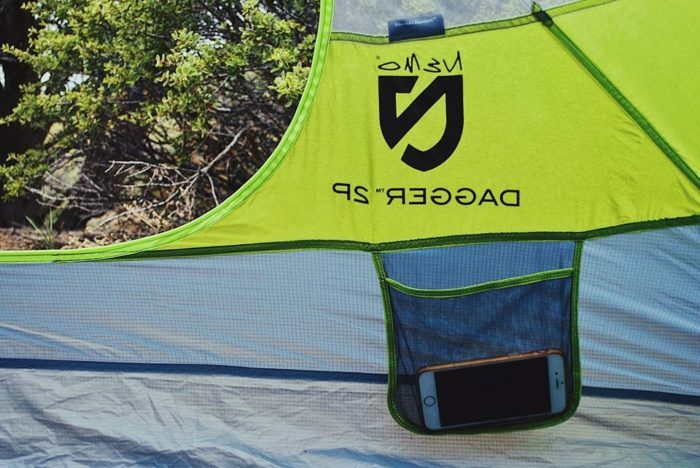 You could probably set this tent up in less than three or four minutes without the fly. Maybe in five to six with the fly. The zippers and guyout loops are reflective which is ideal for nighttime set-up. 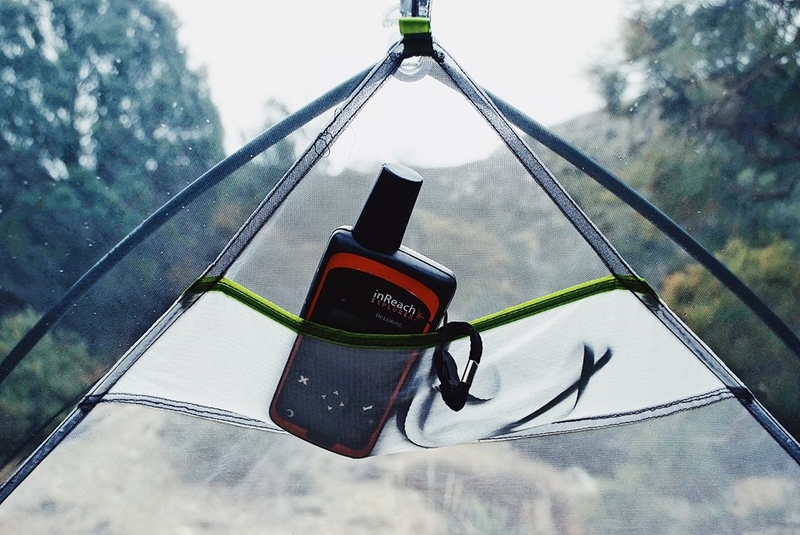 The tent also has a mesh pocket at the overhead area inside the tent, which you can put your headlamp in and it lights up the tent. 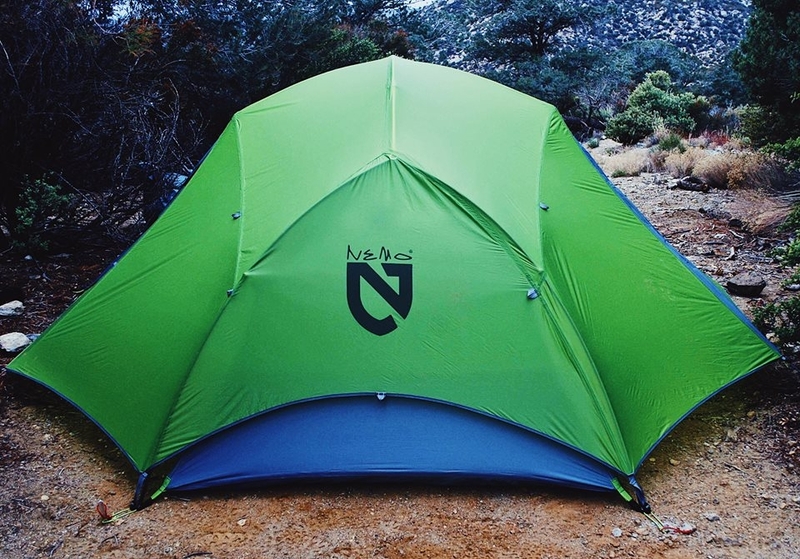 The tent includes a sturdy rainfly that easily connects to the tent poles through what NeMo calls “Jakes Foot”. 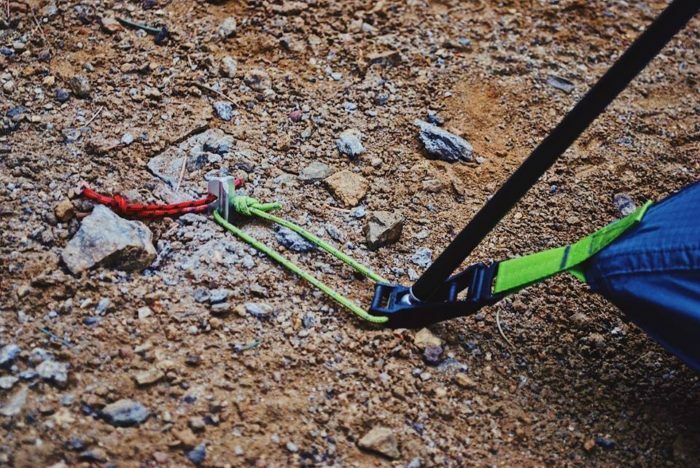 The contraption is very user-friendly and has clasps that hook the fly to the foot, and straps where you can tighten the fly to ensure a dry and low-volume setup during nights when it’s raging outside. The zippers, poles, stakes, and clasps are all made with durable materials. It is clear this tent is made to last. 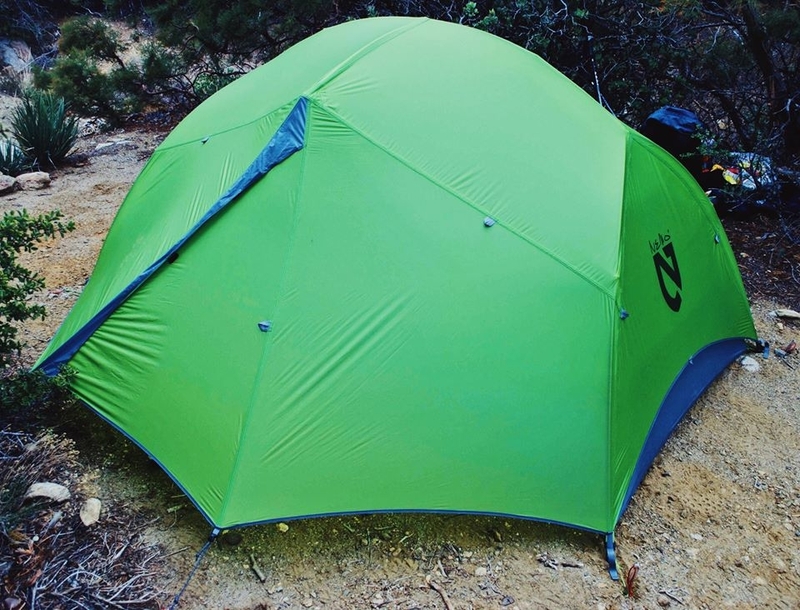 Tent Specs: 30-denier nylon floor, 20-denier nylon fly, 20 denier nylon/mesh walls. The space. My mom and I easily fit in this tent with all of our gear stored underneath the vestibule space. Neither of us felt crowded, and we had extra space at our feet. We are two 5ft 5in tall women, I should add, but the tent is 8 feet in length, so it would accommodate tall hikers as well. I really like the side doors. It makes everything easier, there were a couple of times my mom said she woke up in the middle of the night to go to the bathroom, and I didn’t even hear her. It also makes packing ideal in the mornings, I enjoy rolling over and having the ability to start packing in the same position I woke up in. It was a windy night when I tested the tent and the set-up is rock solid. We both felt safe inside the tent and no moisture got inside the tent, and the volume from the wind was almost non-existent. Durability of materials. Everything on this tent seems like it would be able to resist ages of use, it’s clear the tent is built to last. It’s a really cool green color and who doesn’t like fun colorful gear. The weight. It’s nearly four pounds when packed, but if you’re hiking with a partner, it is easy to break up with weight with NEMO’s clever divvy sack, and voila, you’re each carrying less than two pounds of tent gear. 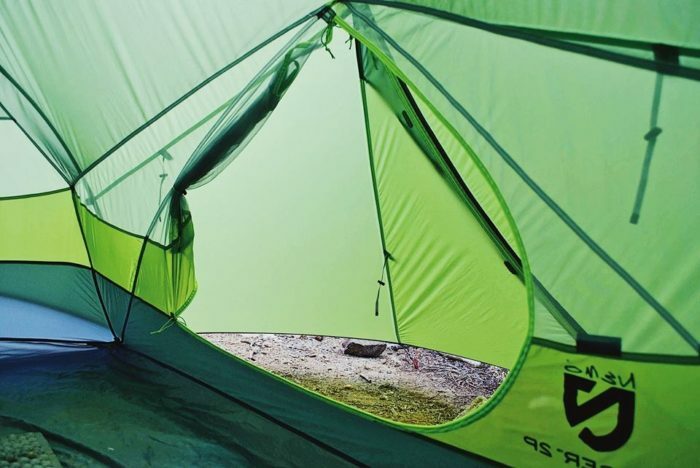 However, I wouldn’t recommend hiking partners split a tent during a thru-hike, in case of separation or emergency. 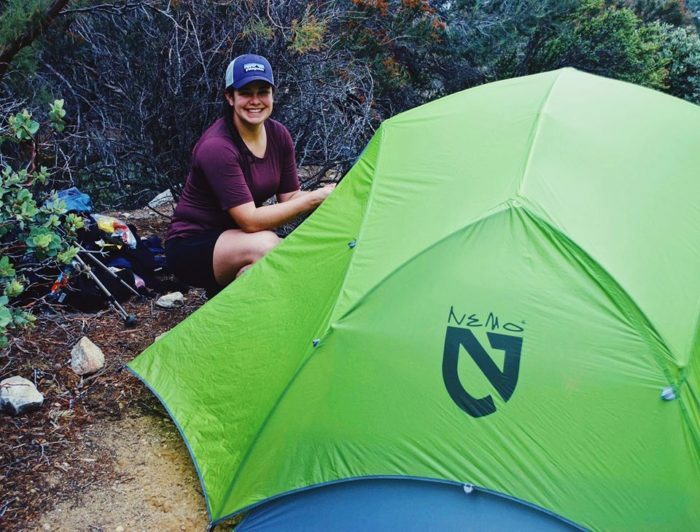 The tent is a little spendy, but there are more expensive tents out there that don’t offer the luxuries this tent does, so I’d say the price is worth it. I wish there were more internal mesh pockets for gear storage. This is more a personal preference, I put my breakfast, socks, phone, GPS and other random crap in my internal mesh pockets every night before bed. My attempt at staying “organized” and these internal mesh pockets are very small. The tent is quite large when it is set up with the fly, which could make scouting for camping on a thru-hike difficult. This is the ideal tent for someone looking for shelter with ample space, or for hiking partners sharing a tent. It is durable, spacious and has a very easy-to-use design. I wouldn’t recommend storing food in your tent, ever. That is sure to bring some bears around.